5Dimes Sports Book Review Overview: 5Dimes is an industry leader that welcomes all types of player small or large. They have one of the most comprehensive and attractive reward and bonus offers in the industry. 5Dimes offers a variety of betting options and lines for nearly every sport and event imaginable. They also have an industry leading Reduced Juice option offering most lines starting at -105. 5Dimes have a wide variety of original and alternate run lines for all major sports as well as the best options for Golf, Soccer, Tennis and specialty events like the Olympics. 5Dimes also offers players many casino gaming options including Poker and the Bonus Casino. 5Dimes has a very solid and reputable background and is run by one of the best management teams in the industry. Originally founded in San Jose, Costa Rica in 1999, 5Dimes continues to be an industry leader offering great customer service, fast, secure and reliable payouts and transactions. NOTE: All accounts default to Option 1 – Reduced Juice unless a different option is selected. 1. Reduced Juice: Offered on most North American Sports: NFL, NCAA Football, CFL, NBA, NCAA Basketball, WNBA, MLB, Major Tennis events, PGA Golf, Boxing, Mixed Martial Arts. 50% New Player Reward offering up to $520 in Free-play Rewards to be used in the 5Dimes Sportsbook. 4. 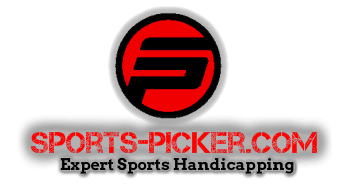 30% Super Saver: Receive -107 pricing and expanded parlay payouts.